KDE5 is one of the more important upcoming software packages in the Linux world. There are quite a few reasons why this is the case, and I’d like to emphasize a couple in this opening section. The first, the critical satisfaction factor uncertainty, which comes to bear following the KDE3.5 to KDE4 fiasco. This one has left many a user with a bitter taste, and worse yet, a sense of fear that the familiar and friendly, which they’ve come to love, may be gone in a single moment of binary code fury. The second one is, this is the first modern KDE release, in the age of hardware acceleration, HTML5 and similar hypes, plus the ever-present influence of the flat mobile design making its way into the desktop space. So the big question is, are we going to have another Gnome 3 story, or is this going to be something else entirely, with the only exception being the underlying Qt technology going up by one integer? Let’s explore. 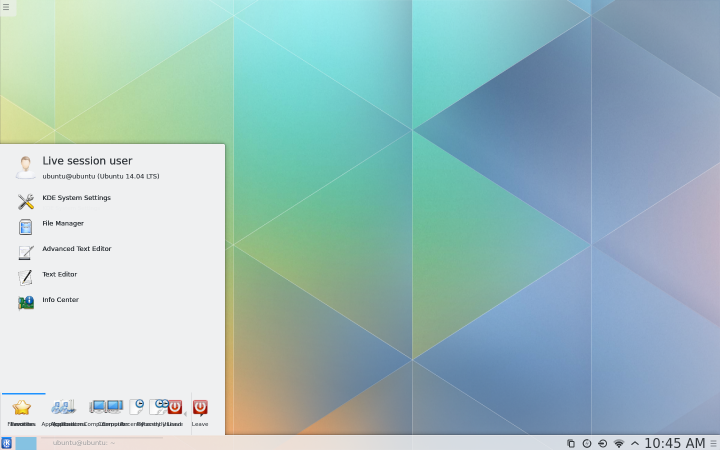 At the moment, KDE5 is still a very much pre-release framework. In fact, just a few days ago, the first public beta was announced, which means this is not an edition to be trifled with. However, if you’re keen on giving Plasma Next a go, there’s a live DVD waiting for you. It’s a 1.1GB download, and it’s based on Ubuntu. I fired up this image, called Neon5 on my T61 laptop, which features a two-core processor, simple Intel graphics before the iX era, and two SSD. I use this machine quite a lot for a whole range of tests and reviews, and today’s experiment is no exception. Anyhow, the live session booted fine, but it took a few minutes to load. The splash animation is quite lovely, although you will have to imagine it, because I was using a real system, not a virtual machine, and screenshots were not available at this stage. Anyhow, slick and smooth. Very neat. The desktop is simple and elegant. 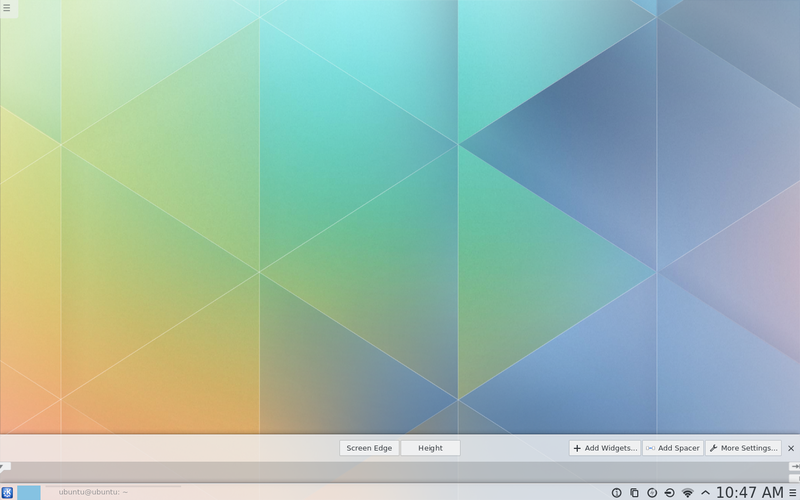 At the bottom, you get a slightly transparent panel that retains most of its KDE spirit, with just a tad of modern flatness. 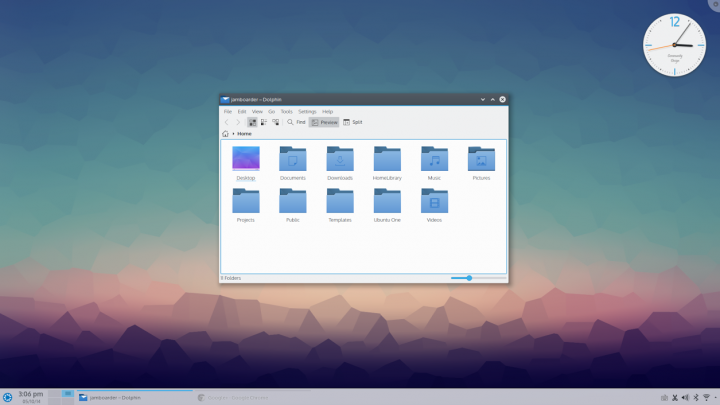 The fonts, a brand new KDE item, are gorgeous. The system area icons are also very decent. They do remind of Android a little bit, and you might also claim a Cinnamon likeness, but the effect is quite pleasant overall. The session was not very responsive, which is understandable for a daily build full of bugs. I am completely aware of my early rush to get this software tested, and therefore, I won’t be holding any grudge until the final release is offered to the market. However, even with some rather glaring bugs and problems, I have a good feeling, and it seems this is going to be a nice product. But let’s not get ahead of ourselves. The Neon5 image lacks a lot of goodies required to do a proper session testing. For example, Ksnapshot and Konsole are both missing. You can install them from the repositories, but you will need to hit one of the virtual consoles and run the commands there. After the installation, the packages will not show in the system menu, which turned out quite garbled and slow to respond to click. Remember, we ignore the beta stuff. 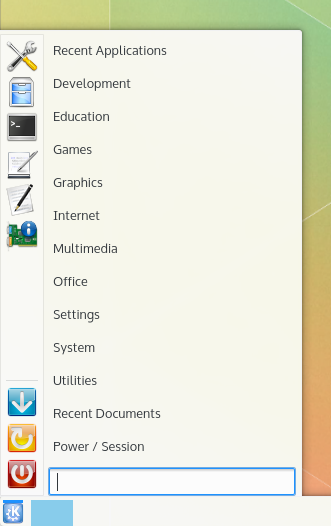 Underneath the glitchy bits, the menu is very clean, clear and easy to use. You get the sense of the familiar. This is not a radical departure from the KDE guidelines, it’s just a normal continuation. Wireless setup is also very simple. It’s similar to what we have seen in the latest editions of Kubuntu and Netrunner. You have the option to switch the network to Airplane mode, or selectively disable the Wireless connectivity. There were no problems with my access points, both 2.4GHz and 5GHz, no errors, and no IPv6 issues of any kind. 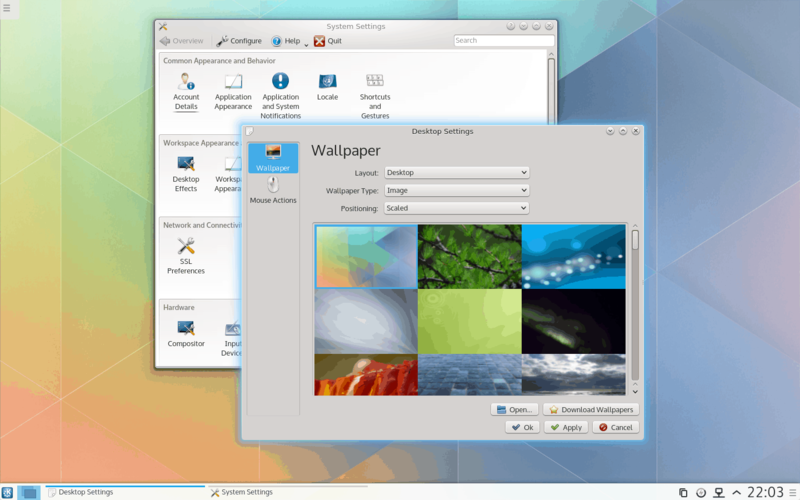 One of the big changes in Gnome 3 that made the users clamor and complain was the neutering of the desktop space when it comes to customization from the GUI. You could not right-click on the desktop, you could not make any changes to the menu. With Plasma Next, there are no such worries. You still get all the usual fun. Now, you will notice inconsistent button shading, lines that are not quite aligned, a scarcity of wallpapers, and other visual bugs in the desktop setup, but after you put aside all these, KDE5 offers everything you want and need from a desktop operating system. Hopefully, this mantra will not change in between beta releases. Other than that, the experience was full of early bugs, slowness, and such. The logout function did not quite let me do that, and after I tried to kill the leftover KDE processes, I was unable to start the desktop again, and had to reboot to get into a working session. None of this really bothered me, because I was seeing a potential in this new version of the Plasma workspace, and it would seem the old mistakes have been well learned, accepted and carefully removed. Plasma Next is an interesting concept. It is still not usable enough for the masses, so if you get easily discouraged, or if you are not an advanced user capable of handling bugs and weird problems, please do not do yourself a disservice and try this desktop environment until it’s baked nice and crisp and ready. Let us geeks do the rambling and news and all that, and you wait for the official blob. And wait you should. Again, I am basing my experience of a very limited subset of time, testing and features, but if my instincts serve me right, what little chance I had to play and fiddle with the next incarnation of KDE, it seems to have a lot of beauty and potential, and it’s going to be one kickass desktop environment. It’s going to blend beauty, modernity and solid functionality, and you won’t be forced to relearn everything from scratch. The familiar usage model remains the core concept, and you only get a fresh set of aesthetics and possibly a much better cross-platform, cross-device integration. That still remains to be seen, and we will be fiddling with Neon5, KDE5 and Plasma Next some more in the future. For now, well done. Much anticipated. ← New on Pling: The fantabulous Synfig Studio! Nice writeup and cleared up a few questions as have the iso but was thinking not to give it whirl till a RC version is released. But looking good. Tho don’t know if I like the no search entry until you start typing thing. And liking the new modern Calendar/Clock setup compared to the antiquated and inflexible one that has been in KDE like forever? And you may want to include some time-lines of how it plays out? Think it is suppose to be July for for 1st stable release? And don’t have a clue when wayland will be rolled into it? I know these things are subject to change but would love to see them put out a rough expected roadmap. As these changes will drastically change the users landscape and am sure users would like to know when these changes might impact them. Well, let’s see what gives. will it burn up the CPU with something like LLVMpipe? Or something else? Non compositing desktop is still available. One critique to the nice writeup. Please use the official naming schemes. 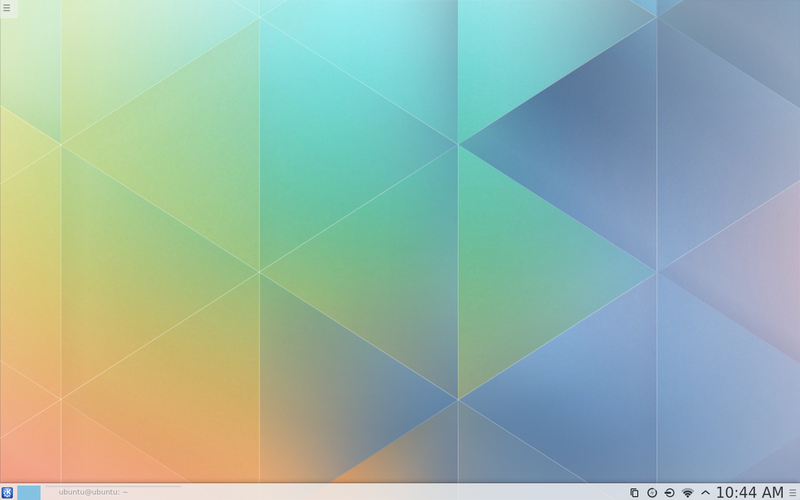 There is nothing like KDE5. What was wrong with my use of Plasma Next? 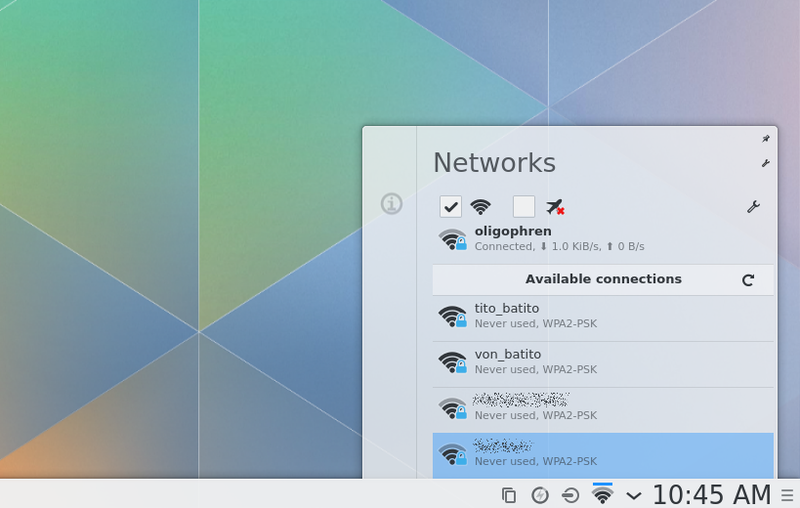 KDE 5? Version 4 isn’t even stable yet! 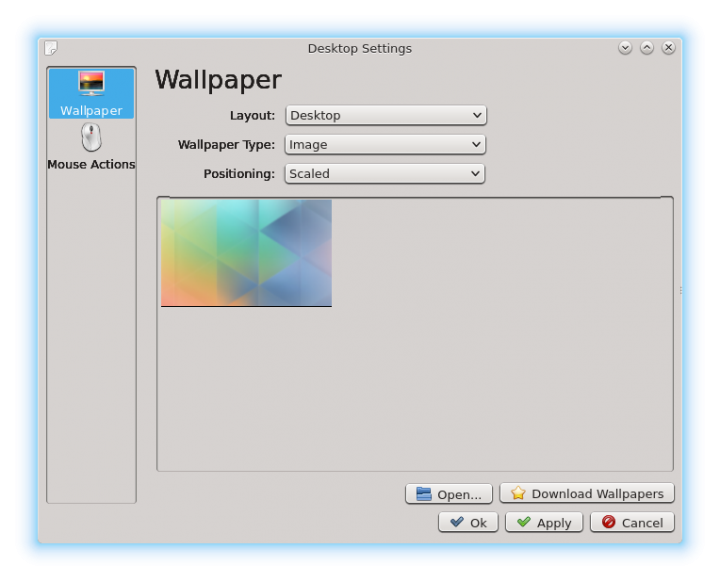 What’s the point in developing a new KDE desktop, when they can’t even prevent it from crashing all the time? Does anyone know where can I find that wallpaper seen in the first few images? and click on the top thumbnail.